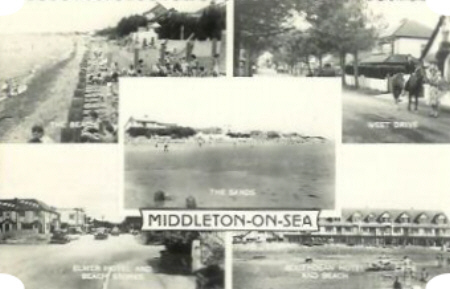 'UK Holiday Camps' is a growing historical archive documenting Holiday Camps in Britain. Anyone who has been a camper or staff member at a holiday camp will probably know the fun and excitement of these places. 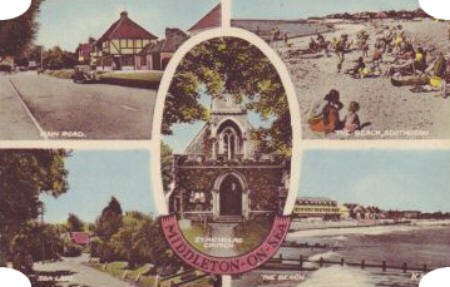 This site seeks to preserve those special memories of holiday camp life along with some holiday camp nostalgia and memorabilia. The place for happy campers! Holiday camps started opening in the late 1890s and this growth industry probably peaked around the 1950/1960s. In the 1970s, the cheap package holidays abroad were seducing the campers away from the traditional holiday camp and this resulted in huge numbers of camps closing. 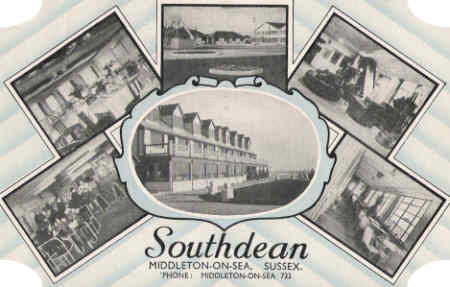 This site covers Southdean Holiday Centre, which became the Sussex Coast Country Club, at Middleton-On-Sea near Bognor Regis in West Sussex but also provides lots of information about Butlins, Pontins, Holiday camp history, Holiday camps today and any other holiday camp resources on the web. 'Area Of Interest' - Were you a Camper, Staff, live locally, research? 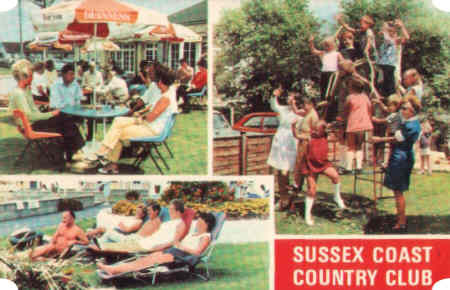 This website specialises in the Southdean Holiday Centre, which became the Sussex Coast Country Club, at Middleton-On-Sea near Bognor Regis in West Sussex and will hopefully bring back a few happy memories for many folks. Holiday camps are special places for the campers and the staff and I was lucky enough to live on-site from the age of 4 to my mid-teens. That camp has got a lot to answer for! Great to hear recently from several ex staff! Were you a camper? Staff? Can you add any information to any of the pages? Dates, people, history, memories etc. 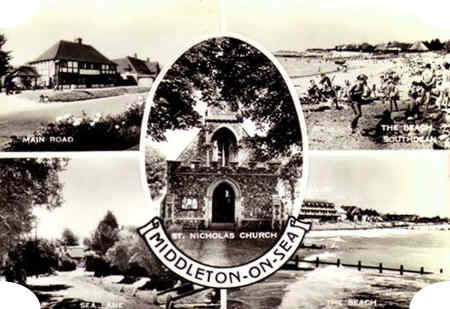 Know of any good websites featuring holiday camp history? Do tell us. Do you remember this 1966 winning team? George (Head Waiter) in the front row. 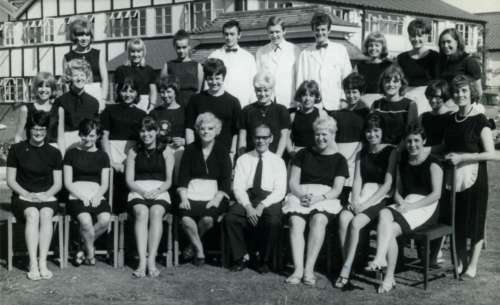 John Brooker on the right of the 3 waiters at the back. Thanks, John for the photo! Was it Mary on far right of middle row? There are over 70 pages of Holiday Camp infomation here so do have a good look around the website. Some pages are very long and you will need to scroll down to see all the photos. Please feel free to wallow in holiday camp nostalgia and if you remember the holiday camp and can contribute any information, photos etc, then do please get in touch via the 'Contact Us' page.